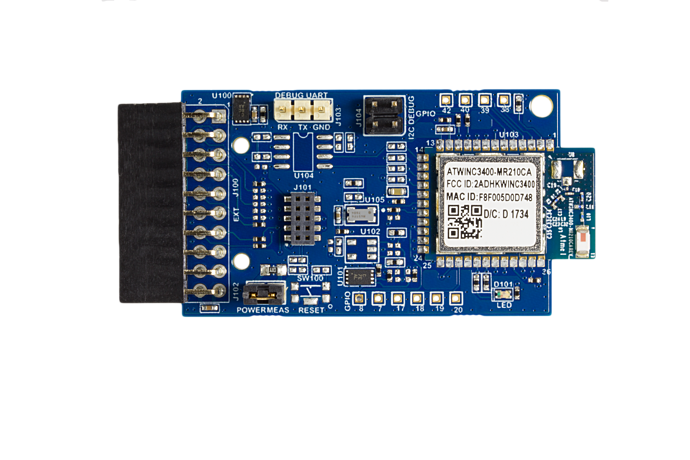 The BM-7x-OTA Dongle is a Bluetooth Low Energy (BLE) Dongle that communicates wirelessly with the BLE module on the end product's board to enable testing or programming Over The Air (OTA). With RF transmit power -20dBm, the Dongle connects to the target board by a short distance preventing unnecessary connections to other boards nearby. The default supported modules include BM70, RN4870, BM71, RN4871, BM77, RN4677, BM78 and RN4678. With a micro-USB cable connected to a PC (Windows), a MPAF tool executes device testing or configures device parameters through Bluetooth BLE connection over the air. On-board jumpers and status LEDs allow the user to quickly and easily test or program the target module. The BM-20-EVB board is designed to emulate the speaker phone. 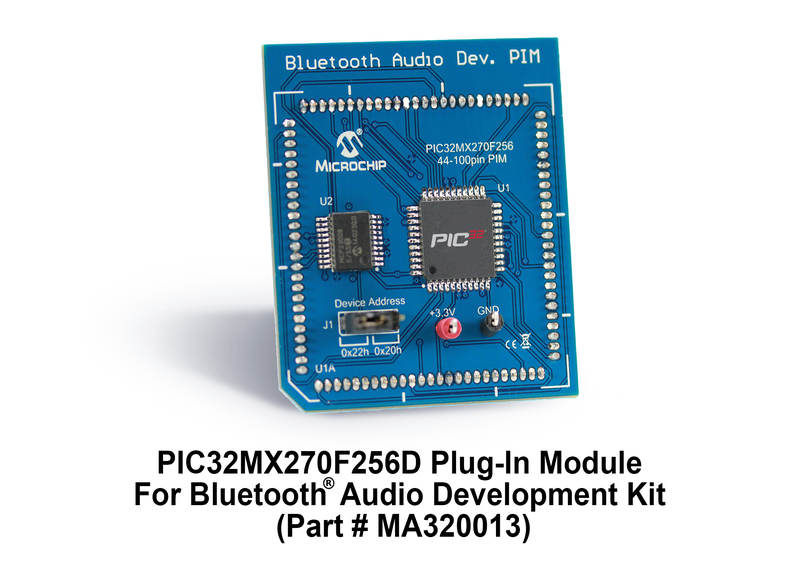 It provides users an integrated test environment for Bluetooth audio and UART applications. 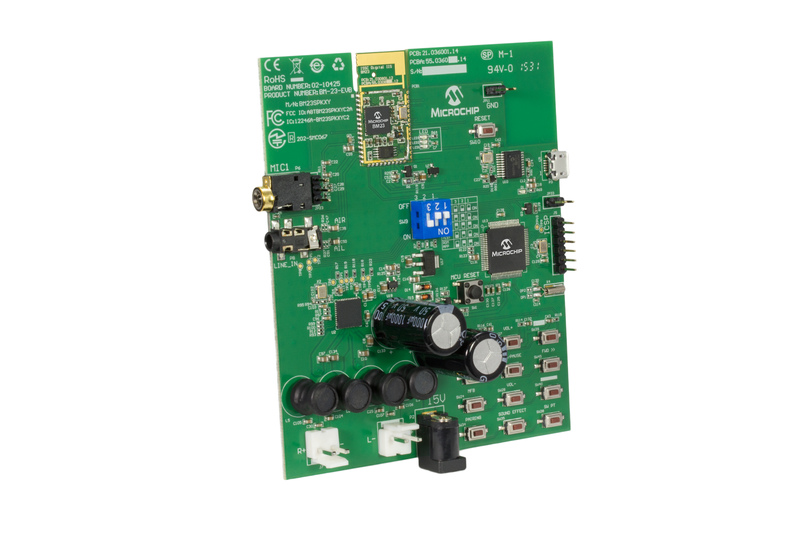 The BM-23-EVB board is designed to emulate the speaker phone for I2S interface. It provides users an integrated test environment for Bluetooth audio, UART and I2S applications. Along with the BM-62-EVB, software tools and applications are provided to demonstrate the Bluetooth connections to the on-board BM62 stereo audio module and to optionally configure or program it. The BM-63-EVB enables the user to evaluate and demonstrate the functionality of the BM63 stereo audio module. The BM-63-EVB includes an integrated configuration and programming interface for plug-and-play capability, and also has status LEDs which enable rapid prototyping and faster time to market. Along with the BM-63-EVB, software tools and applications are provided to demonstrate the Bluetooth connections to the on-board BM63 stereo audio module and to optionally configure or program it. The BM-64-EVB-C1 enables the user to evaluate and demonstrate the functionality of the BM64 Class 1 stereo audio module. The BM-64-EVB-C1 includes an integrated configuration and programming interface for plug-and-play capability, and also has status LEDs which enable rapid prototyping and faster time to market. Along with the BM-64-EVB-C1, software tools and applications are provided to demonstrate the Bluetooth connections to the on-board BM64 stereo audio module and to optionally configure or program it. 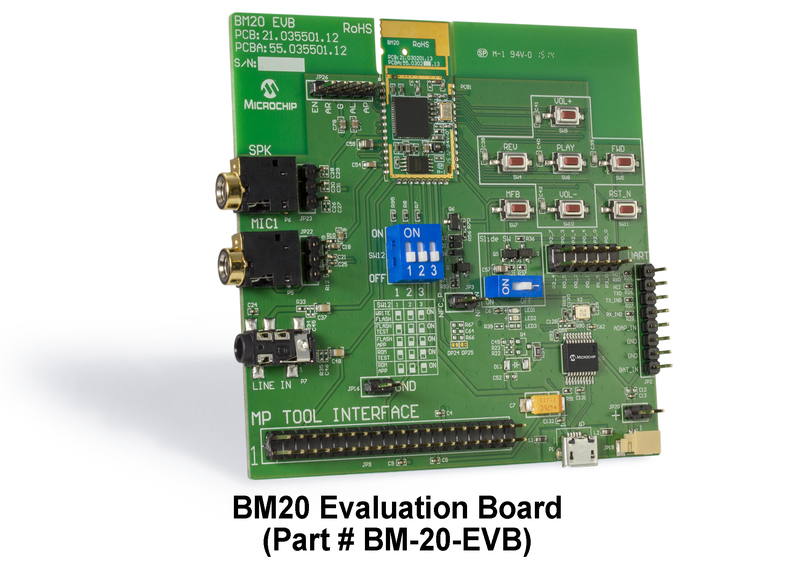 For evaluating the BM64 Class 2 stereo audio module please see the BM-64-EVB-C2 evaluation board. The BM-64-EVB-C2 enables the user to evaluate and demonstrate the functionality of the BM64 Class 2 stereo audio module. The BM-64-EVB-C2 includes an integrated configuration and programming interface for plug-and-play capability, and also has status LEDs which enable rapid prototyping and faster time to market. 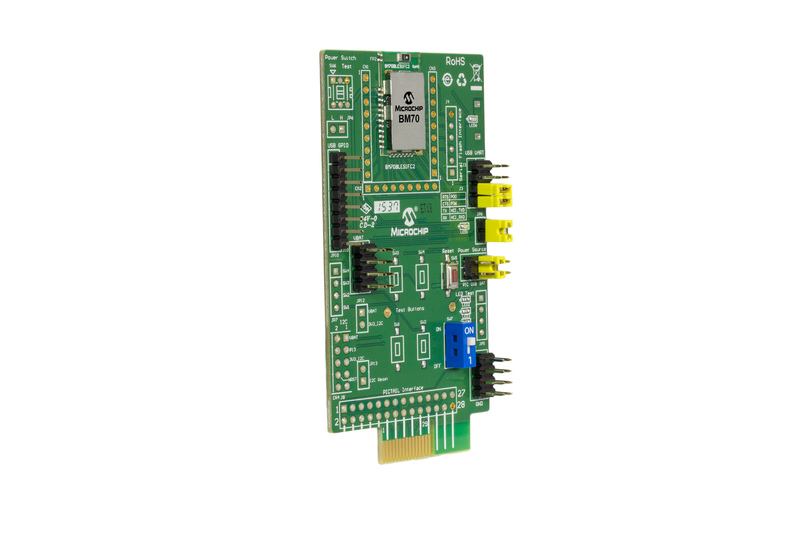 Along with the BM-64-EVB-C2, software tools and applications are provided to demonstrate the Bluetooth connections to the on-board BM64 stereo audio module and to optionally configure or program it. 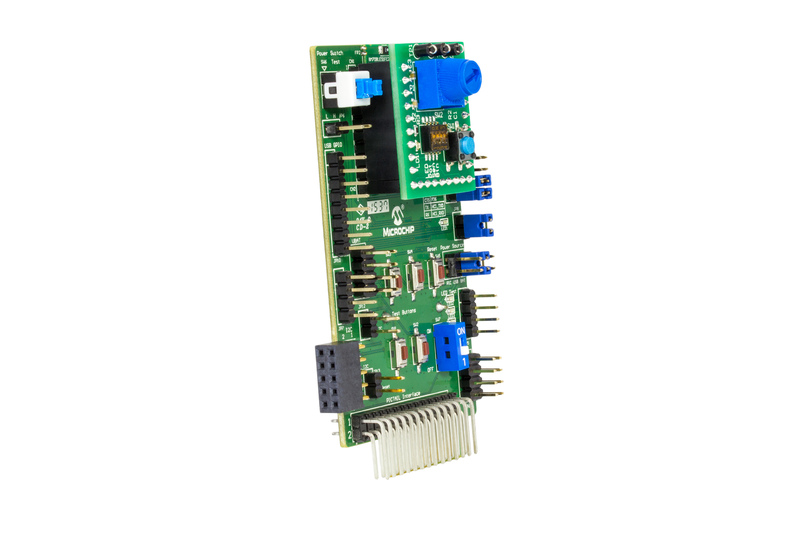 For evaluating the BM64 Class 1 stereo audio module please see the BM-64-EVB-C1 evaluation board. 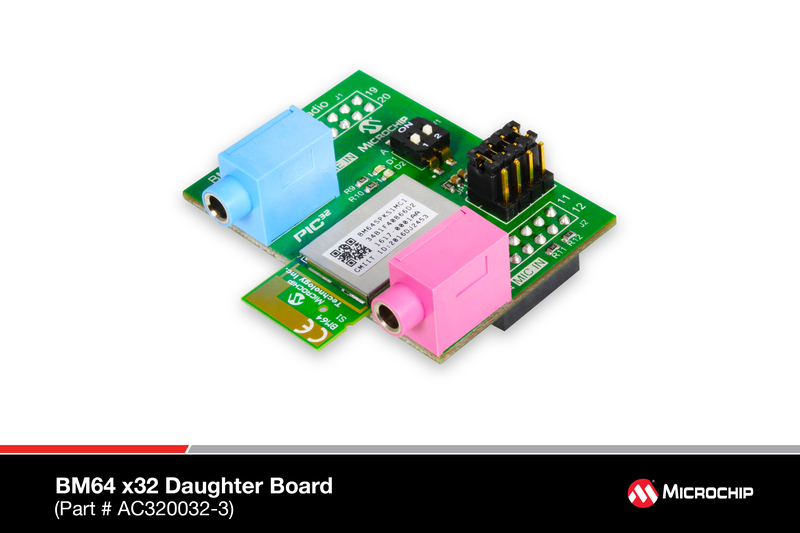 The AC320032-3 BM 64 Bluetooth Radio Daughter card is a companion card for select PIC32 based development kits enabling customers to evaluate and prototype different Bluetooth solutions. 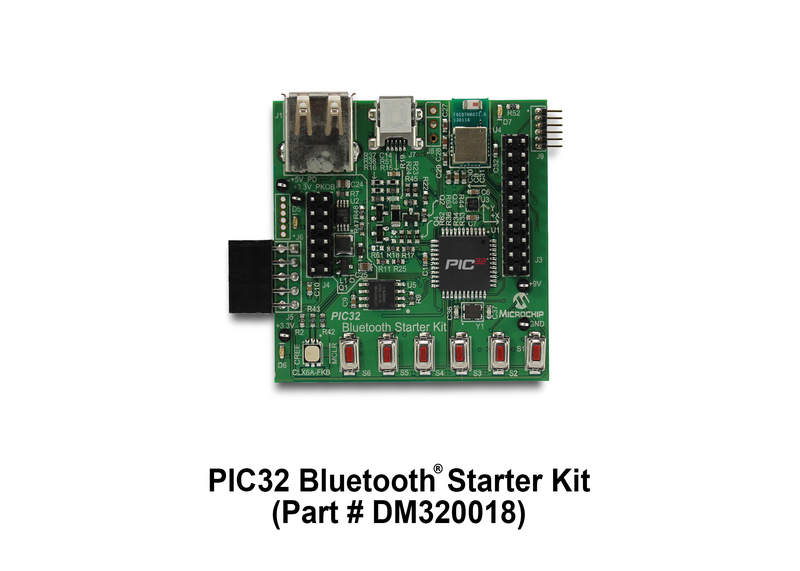 This card is compatible with boards such as the Bluetooth Audio Development Kit (DV320032) and the PIC32 Bluetooth Starter Kit (DM320018) via the XC32 header interface. 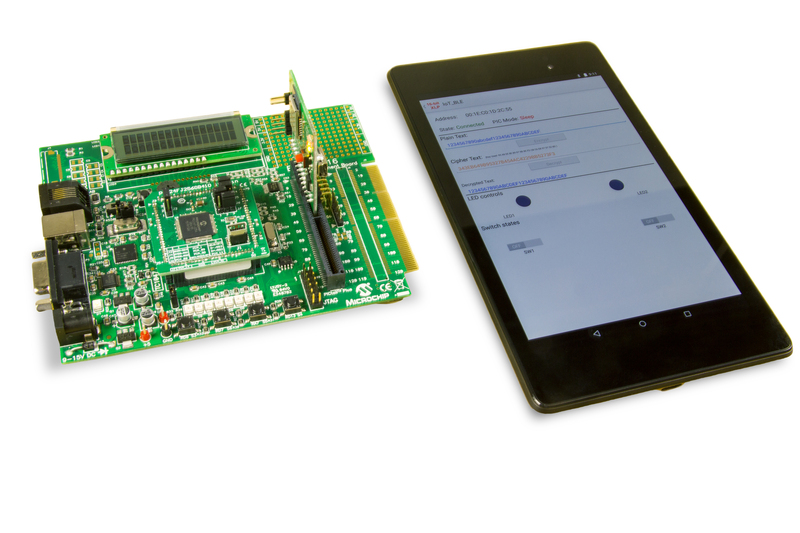 The BM64 Card features a fully certified Bluetooth 4.2 (BDR/EDR/BLE) module solution supporting both voice and data applications. Additionally, support for HSP, HFP, A2DP and AVRCP profiles resides on the radio, allowing the PIC32 to be used for graphics or user interface type functions rather than running the Bluetooth Stack. 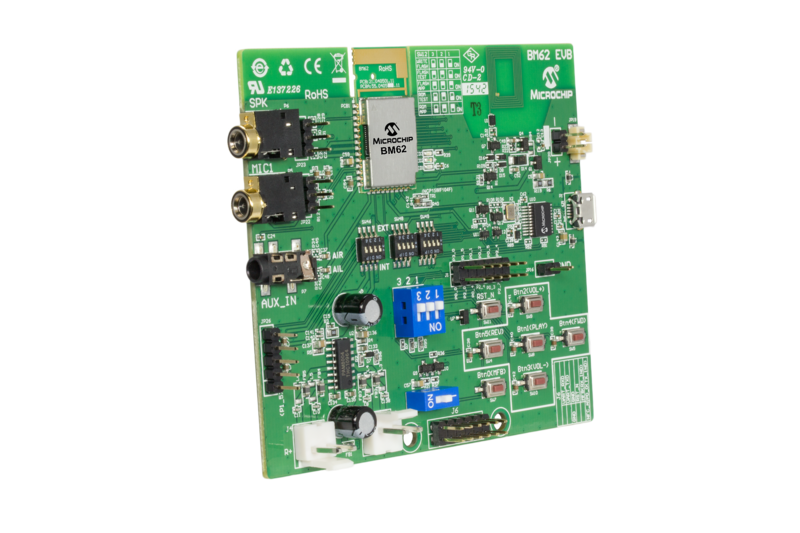 The BM77 Bluetooth® Dual Mode Evaluation Board (EVB) allows the designer to evaluate and demonstrate the capabilities of the BM77 Bluetooth 4.0 Dual Mode Module. 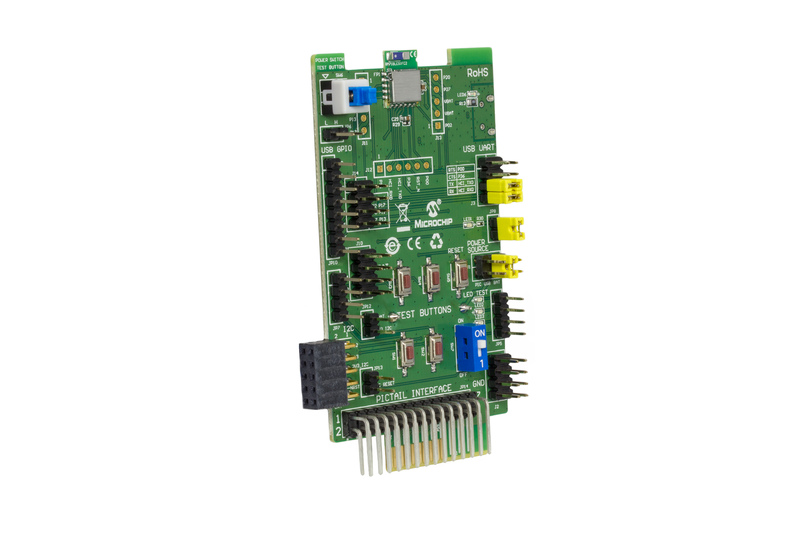 The evaluation board includes an integrated Configuration and Programming USB interface for plug-and-play capability. It also includes on-board breakout pin header connections for convenient access to the BM77 electrical connections to enable rapid prototyping. 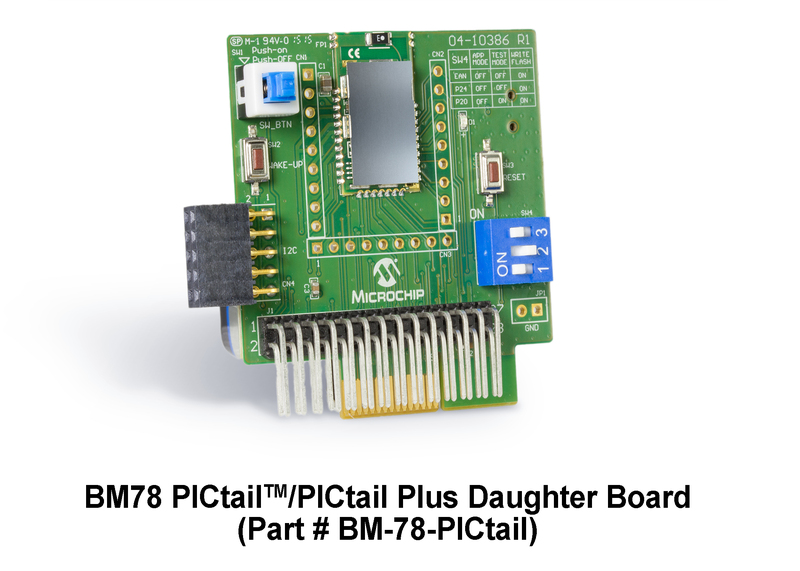 The BM77 PICtail™/PICtail Plus Board is a Bluetooth® Dual Mode development board that showcases the Microchip BM77 module, a fully-certified Bluetooth Version 4.0 Dual Mode module that supports both Bluetooth Classic and Bluetooth Low Energy. 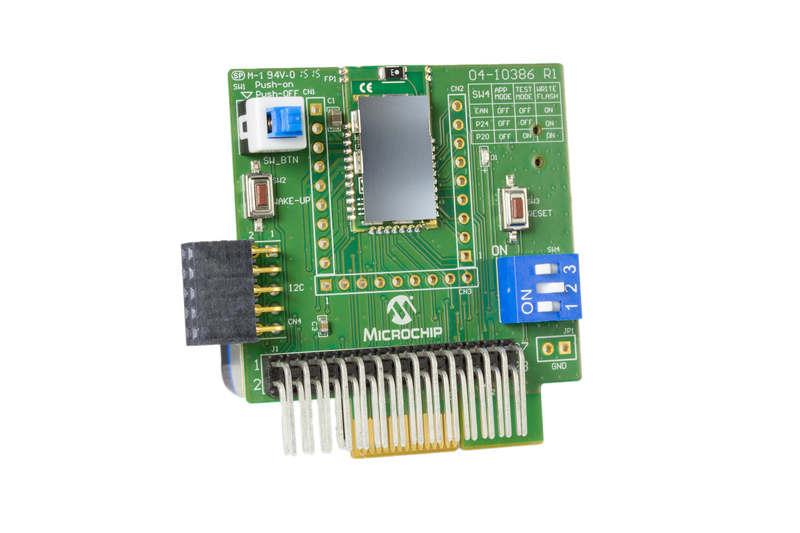 This flexible development board includes a convenient USB interface for plug-and-play capability in standalone mode and has a PICtail™/PICtail Plus interface for connecting to Microchip development boards. The board also includes on-board connection and data status LEDs. 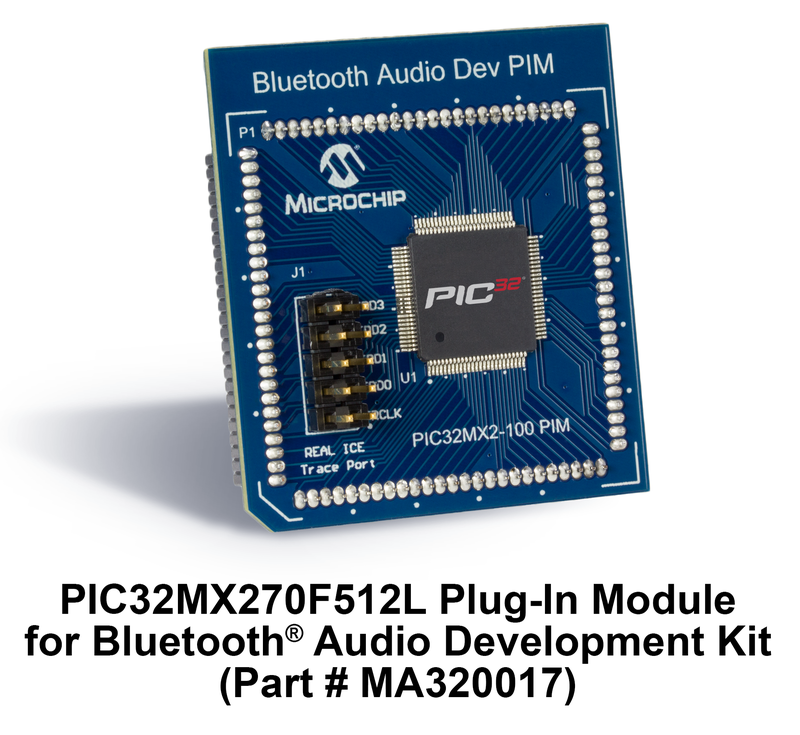 To facilitate rapid development and prototyping, a BM77 driver is also provided for 8-bit, 16-bit and 32-bit microcontrollers. The BM77 PIC MCU driver provides a programming API for BM77 configuration and control functions. The driver is fully-compatible with MPLAB® X and the BM77 PICtail™/PICtail Plus interface. BM78 PICtail/PICtail Plus Board provides rapid prototyping and developing for Bluetooth data applications for Classic SPP or Bluetooth Low Energy. It can be powered via USB host or external battery. The BM-78-PICtail utilizes the BM78 module, a fully certified Bluetooth 4.2 dual mode RF module supporting Bluetooth Classic SPP (Serial Port Profile) and Bluetooth Low Energy (BTLE), to provide a Bluetooth serial data connection. 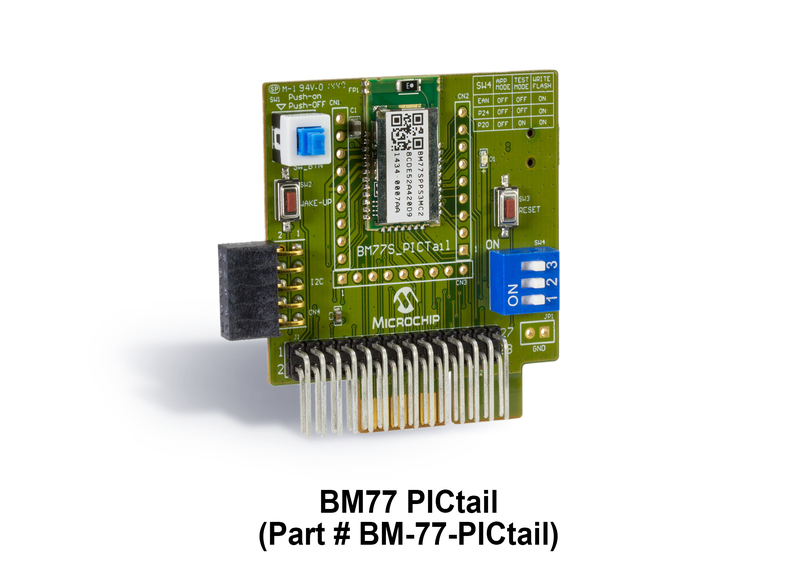 The BM-78-PICtail provides a USB to UART converter allowing a flexible interface to the host PC, a PC terminal utility, and Smartphone Apps to drive both classic SPP and BTLE data connections. 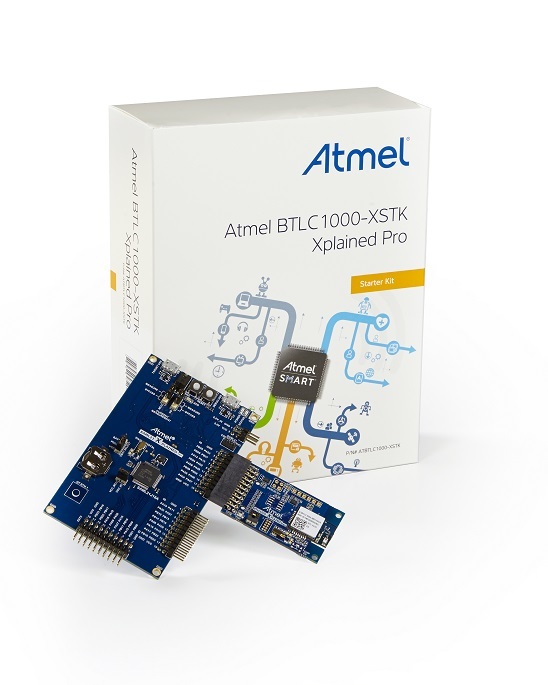 The BTLC1000 Xplained Starter Kit is a hardware platform to evaluate the ATBTLC1000-MR110CA module with the ARM Cortex M0+ SAML21 Xplained Pro host MCU evaluation board. The Xplained Pro extension plugs into the SAML21 Xplained Pro evaluation board to quickly add Bluetooth Smart connectivity. The ATBTLC1000-MR110CA module is based on s industry leading lowest power Bluetooth Low Energy 4.1 compliant SoC, ATBLTC1000-MU-T. 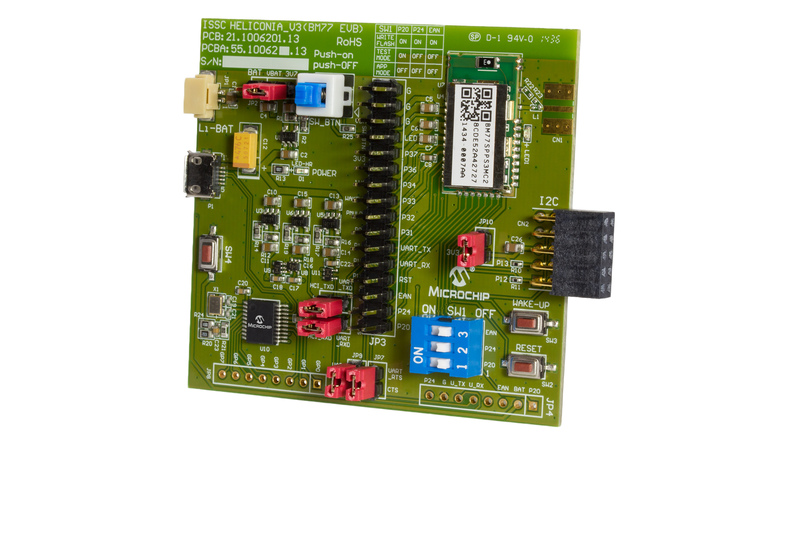 Supported by the Studio integrated development platform, the kit provides easy access to the features of the ATBTLC1000-MR110CA BLE module and explains how to integrate the device in a custom design with the Cortex M0+ SAML21 MCU. Bluetooth® has emerged as a standard of choice for connecting local embedded applications through a smartphone or tablet. Many applications only need simple command and control, or a quick status update from a sensor. By catering to these needs, Bluetooth Low Energy (BLE) has evolved to support these low-duty cycle applications with lower power consumption. 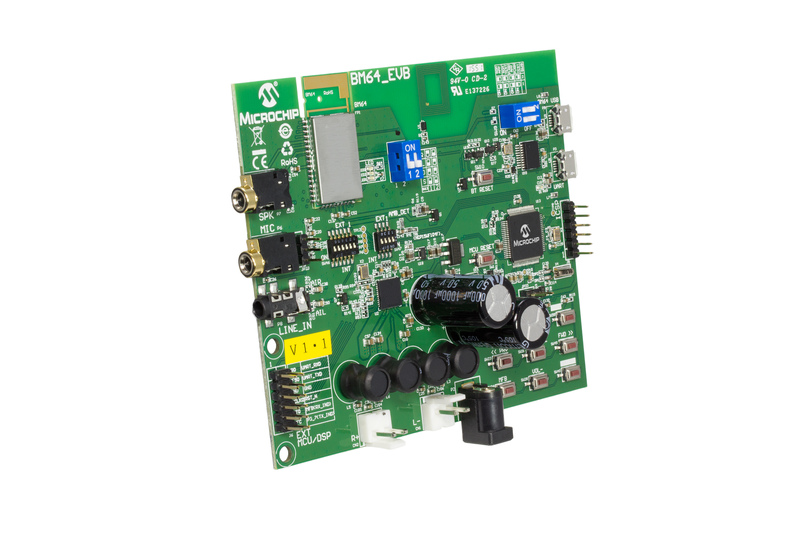 Microchip’s eXtreme Low Power PIC® Microcontrollers and RN4020 Bluetooth low energy module help in achieving low power consumption. The PIC24FJ128GB204 or PIC24FJ256GB410 devices used in this demo have an integrated hardware Crypto engine. This demonstration shows the simple communication between the RN4020 module and a Bluetooth Low Energy (BLE) supporting smartphone or tablet. The RN4020 module is controlled by the PIC24FJ128GB204 or PIC24FJ256GB410 MCU which include a hardware crypto engine used for AES encryption in the demonstration. The demo is built using standard development tools from Microchip including the Explorer 16 Board, PIC24FJ128GB204 or PIC24FJ256GB410 Processor Plug-In Module (PIM), and Bluetooth LE PICtail Plus Daughter Card. These readily available tools can be used to easily replicate this demo on your own. The demo is supported by MCU firmware and an app that will run on an Android phone or tablet. The first application is turning the LEDs on and off using the touch buttons on the tablet. The app can also show the state of the switches on the board, toggling on and off. The demo also includes data security using the crypto engine integrated on the PIC24FJ128GB204 or PIC24FJ256GB410 MCU, with up to 128-bit AES. This demo shows a PIC24 XLP MCU working with Bluetooth LE talking to an Android tablet to show basic command and control similar to what would be used for a simple IoT sensor node. This demo can also be built using the PIC24FJ256GB410 Processor Plug-In Module in place of the PIC24FJ128GB204 Processor Plug-in Module. The RN-41-EK is a fully certified Class 1 Bluetooth evaluation kit for the RN41 module. It has the flexibility to connect directly to a PC via a standard USB interface or to embedded processors through the TTL UART interface. The status LEDs, switches, and signal headers enable rapid prototyping and integration into existing systems. 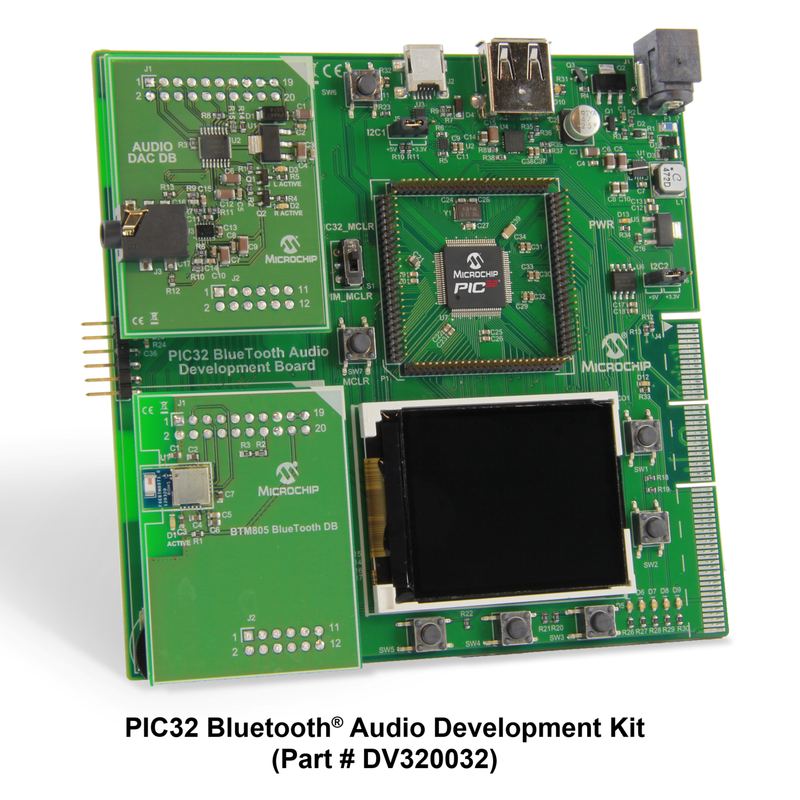 The RN-42-EK is a fully certified Class 2 Bluetooth evaluation kit for the RN42 module. It has the flexibility to connect directly to a PC via a standard USB interface or to embedded processors through the TTL UART interface. The status LEDs, switches, and signal headers enable rapid prototyping and integration into existing systems. 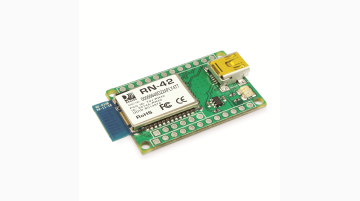 RN4678 PICtail™ / PICtail Plus Board provides rapid prototyping and developing for Bluetooth data applications for Classic SPP or Bluetooth Low Energy. It can be powered via USB host or external battery. The RN-4678-PICtail utilizes the RN4678 module, a fully-certified Bluetooth 4.2 dual mode RF module supporting Bluetooth Classic SPP (Serial Port Profile) and Bluetooth Low Energy (BLE), to provide a Bluetooth serial data connection. The RN-4678-PICtail provides a USB to UART converter allowing a flexible interface to the host PC, a PC terminal utility, and Smartphone Apps to drive both classic SPP and BLE data connections. 2) As a PICtail/PICtail Plus, the board interfaces to Explorer 8 or Explorer 16 Development Board. The Explorer 8/16 modular development system works with one of hundreds of available PIC 8, 16, 32 bit Microcontrollers PIM (Plug-In-Modules). 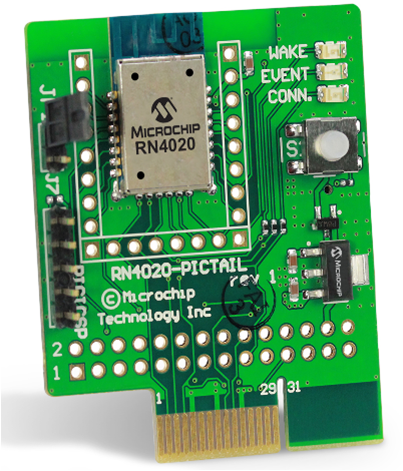 The PICtail bridges the host MCU UART to the RN4870's UART interface for data transfer or configuration using the straight-forward, easy-to-use ASCII style command set. 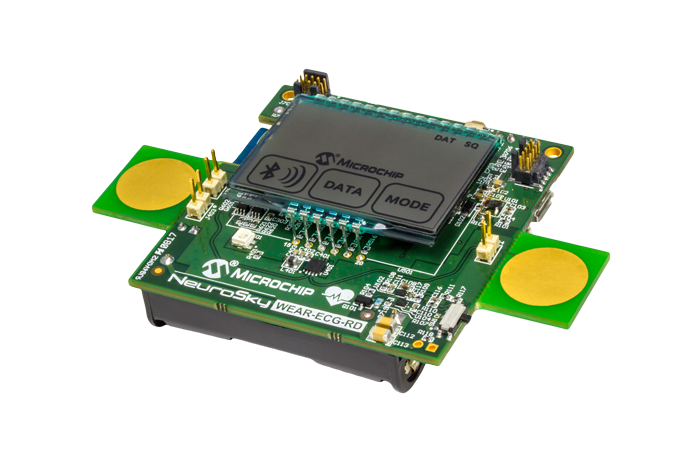 The Bluetooth Smart Sensor app is used to showcase the capabilities of Microchip's Bluetooth Low Energy (BLE) module with the plug-in sensor board included in the RN4870 development kit. 2) As a PICtail/PICtail Plus, the board interfaces to Explorer 8 or Explorer 16 Development Board. The Explorer 8/16 modular development system works with one of hundreds of available PIC 8, 16, 32 bit Microcontrollers PIM (Plug-In-Modules). 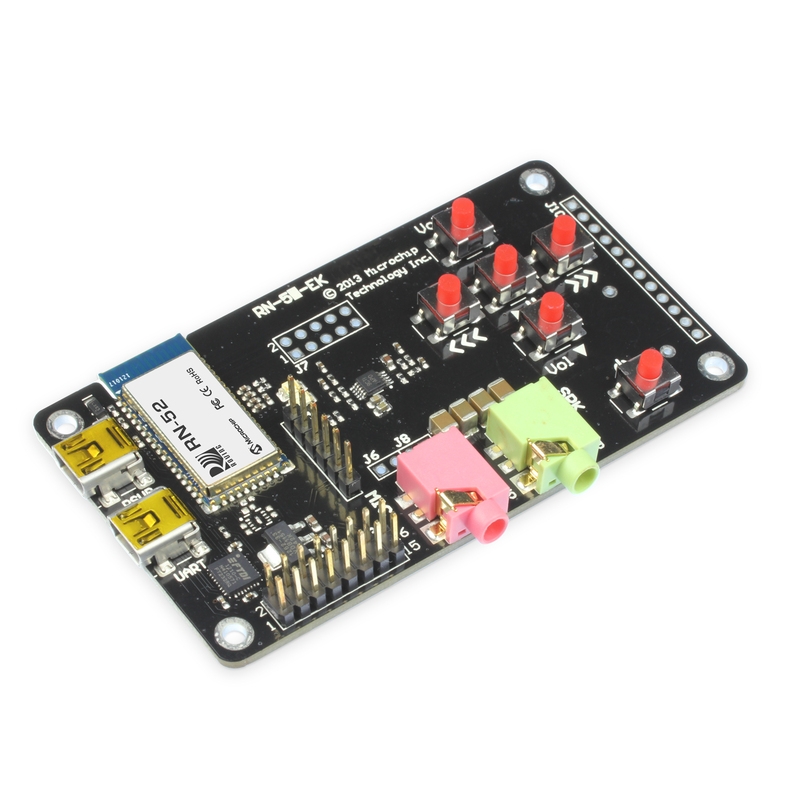 The PICtail bridges the host MCU UART to the RN4871's UART interface for data transfer or configuration using the straight-forward, easy-to-use ASCII style command set. The RN-52-EK is an evaluation kit for the RN52, a fully certified Bluetooth version 3.0 audio module, and fully compatible with Bluetooth version 2.1 + EDR. It demonstrates the key features of the RN52 allowing designers to quickly and easily evaluate and develop prototypes. This kit contains rechargeable speakers and a microphone. The ATWINC3400-XSTK evaluation kit is a hardware platform to evaluate the WINC3400-MR210CA module. The WINC3400 is an IEEE 802.11 b/g/n/BLE4.0 IoT network controller SoC. It is the ideal add-on to existing MCU solutions bringing Wi-Fi and BLE Network capabilities through SPI-to-Wi-Fi interface. 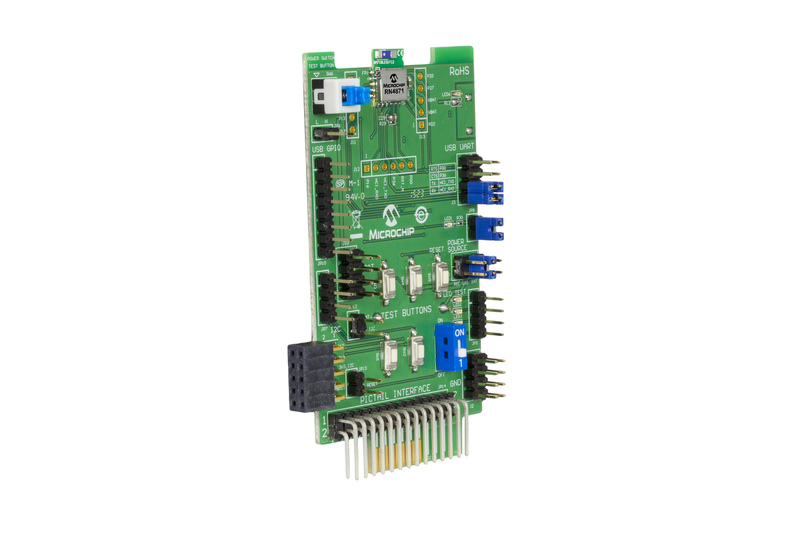 The WINC3400 connects to any PIC or SAM MCU with minimal resource requirements. The WINC3400's most advanced mode is a single stream 1x1 802.11n mode providing up to 72 Mbps PHY throughput. The WINC3400 features fully-integrated Power Amplifier, LNA, Switch and Power Management. It also features an on-chip microcontroller and integrated flash memory for system software with built in coexistence mechanism for concurrent Wi-Fi & BLE functionality. The only external clock source needed for the WINC3400 is a high-speed crystal or oscillator running at 26 MHz. The WINC3400 is available in a QFN package or as a fully certified module.